Monochrome is THE look of the moment and probably the easiest of this season’s looks to pull off. Black, white and greys are the key colours to this trend and anybody can work this look especially if you are a Melbournite, where most of our wardrobes consist of black! Just by adding a few white or patterned black and white pieces, you can make a drab black outfit look fab! The ever stylish Olivia Palermo accenting the monochrome look with tan heels and clutch. Kate Hudson looks fantastic in a monochromatic patterned top as her statement piece. 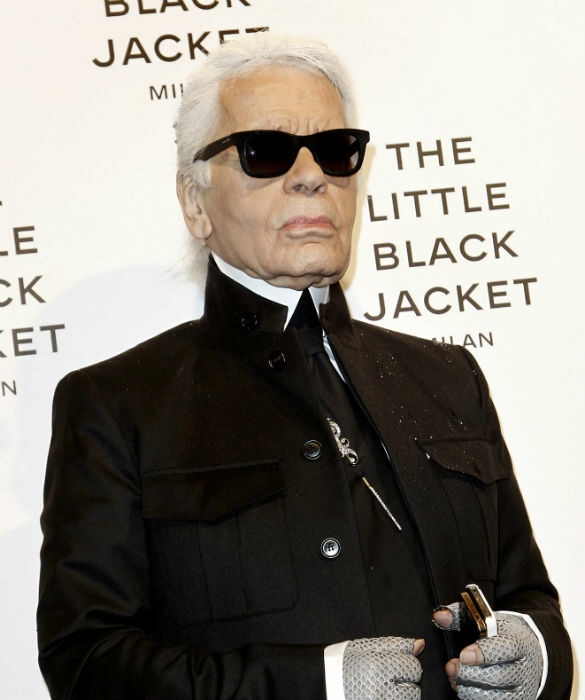 Karl Lagerfeld is the epitome of monochrome. Ashen face, white hair and all! 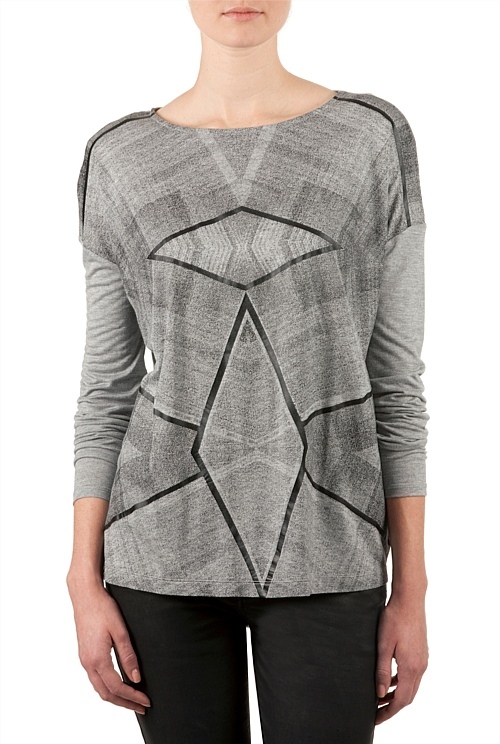 The Country Road Foil Print Top would look amazing with a black jacket, plain black peg leg pants and gorgeous heels. 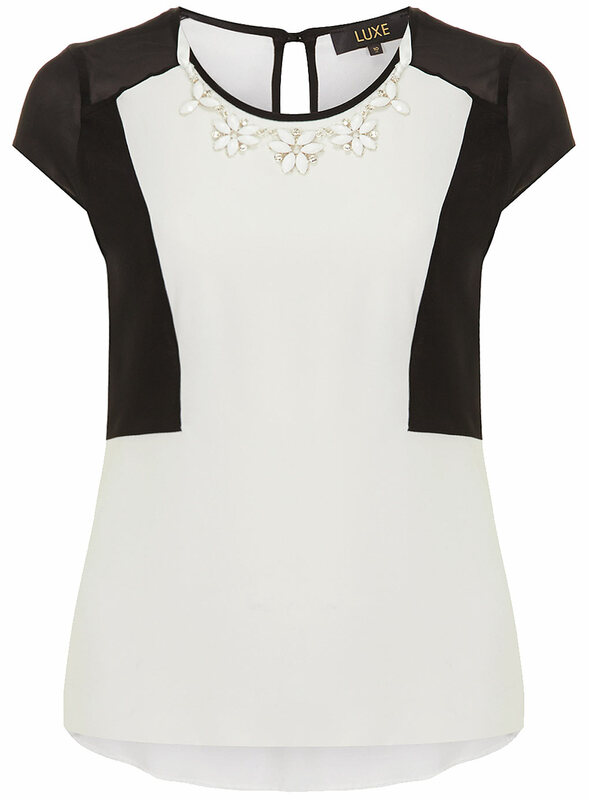 How gorgeous is this Dorothy Perkins top? I love the necklace detail. This gorgeous dress from French Connection is one essential piece to work the monochrome look. 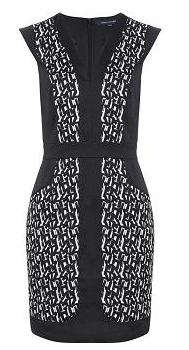 Incredibly flattering (the pattern elongates the body). I say this is a must have. 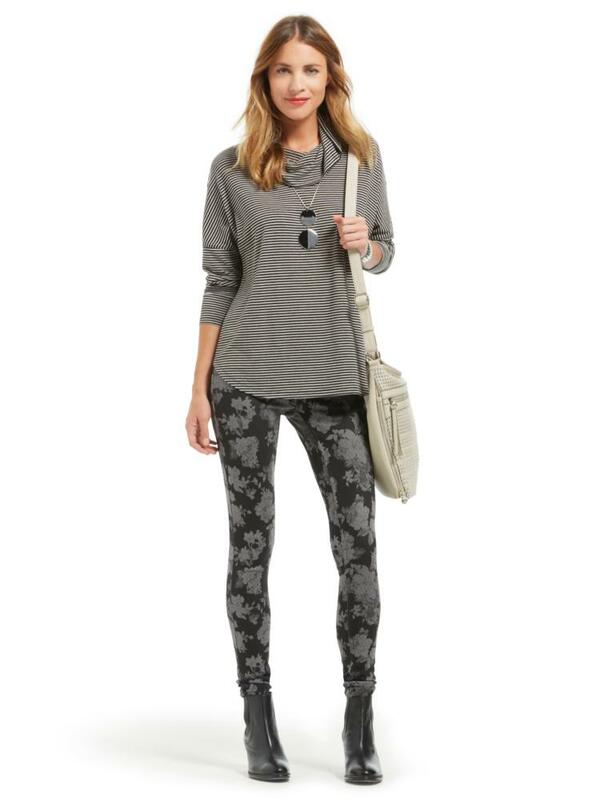 This is such a cute top from Jacqui E. As well as monochrome being a huge trend this season, spots are also in. Very stylish boyfriend jacket from Forever New. Highly versatile, this jacket can be used to dress up a plain black top and a pair of black skinny jeans or pop over a shift dress for extra interest. Everyone loves a statement necklace and I am loving the Collette Hayman three link necklace. Best part is it is only $9.95!! 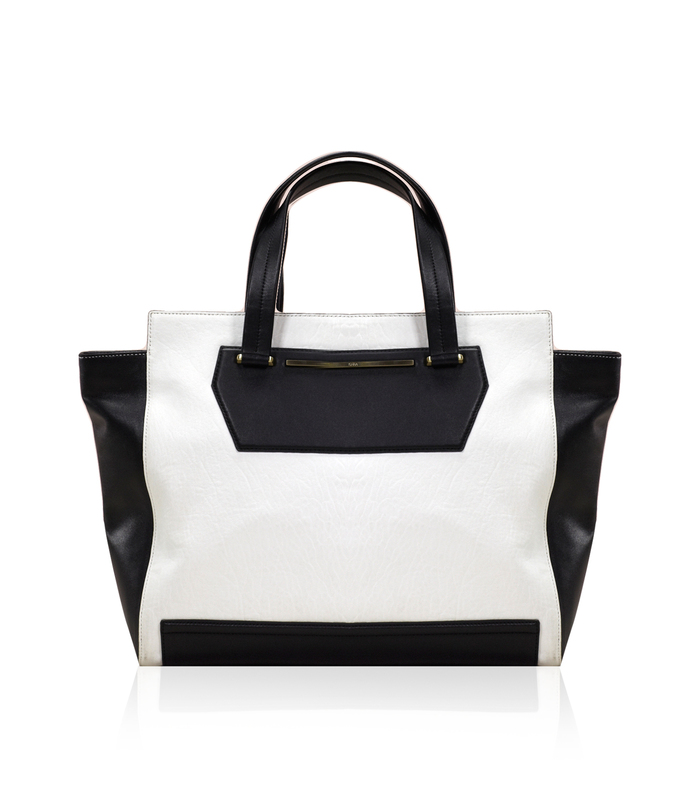 Saba is synonymous with style and sophistication and this day bag is no exception. This bag will match just about any outfit and will add a timeless look to your outfit. What do you love about the monochrome look? I’m so happy black and white is back in the shops – HATED all the floral and aztec prints that were big not so long ago. Long live monochrome!